Photo by Emily Raftery Photography. All other photos taken by me. When our second daughter was due to arrive (Florence, now 8 months), I decided it was time to do up the girl's rooms. We moved Willow from the nursery which is the bigger bedroom, to what was then our storage room (no I have no idea what we did with all the stuff...is it in the shed?!) It seemed a little odd to put the bigger child in the smaller room, but Willow was then 20 months and enjoyed spreading her toys out everywhere. So I figured if her room was smaller, there would be less space to mess up ;) Also she didn't need the space for all the baby furniture, a changing table for example. The design had to be done thoughtfully as the room is only 3X4 metres. One wall is taken up by the window, another by wardrobe and a third is inset like a small alcove. I knew I was designing a room that had to be fit for purpose, no point making it as beautiful as a show home and expecting it to stay that way. Like any project, the hardest part is getting started. I am a huge fan of Interior Designer Sarah Richardson and she always says you need a jumping off point. A jumping off point sets the tone for the room. It can be a piece of furniture, a picture or some fabric that gives a 'feel' for the space. I used the Nature Baby Pyramid Blanket and decided to steal the colours, easy! So now I knew I was going to somehow use navy, aqua, kelly green and white- I was pretty pleased with this palette as I felt it would grow with Willow. I knew I wanted the room to be bright white (to reflect light in a small space) and had seen Sarah Richardson create a child's room with a paisley ceiling- a little far out perhaps, so I decided to paint it a feature colour instead. Tip: If the colour you want is aqua, and the pot says 'Aqua' just buy aqua! I thought I knew better and bought a pale green that ended up looking like moss, blergh! 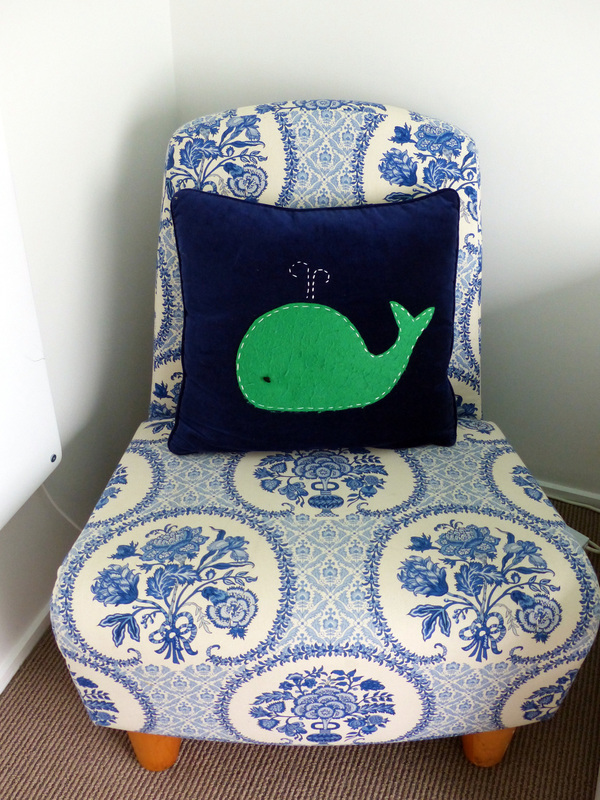 So yes, eventually we got aqua ;) Next I found the navy wall stickers from The Lovely Wall Co- cute! 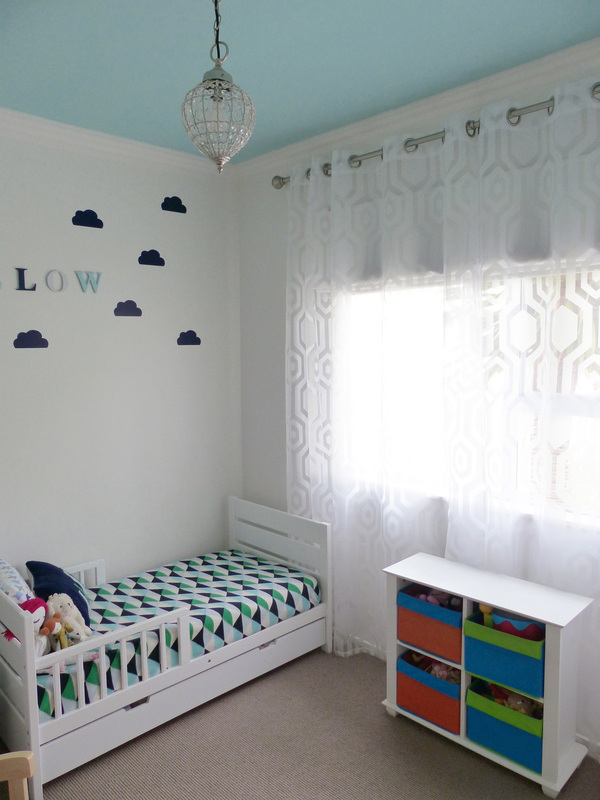 The whole room nearly ended up cloud themed but I thought that might end up a bit babyish, and she is 2 after all! 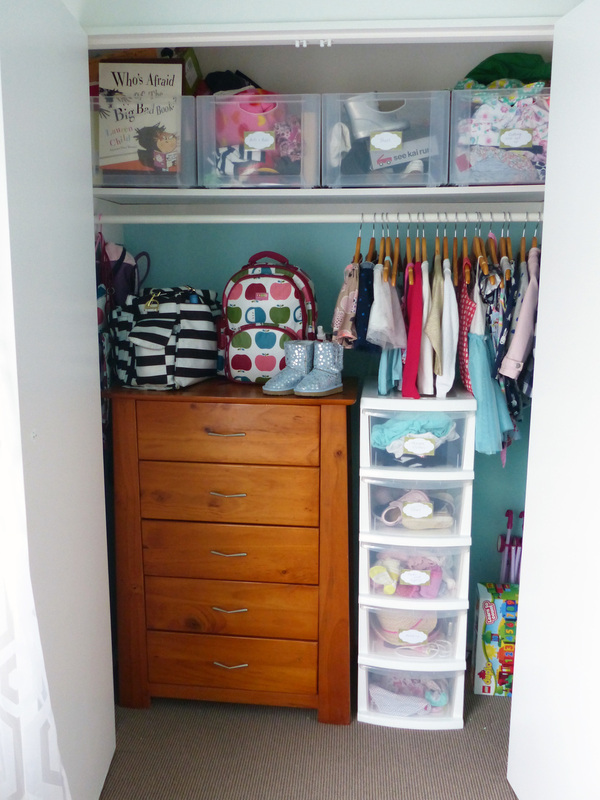 We are so lucky to have a decent sized wardrobe in Willow's room. 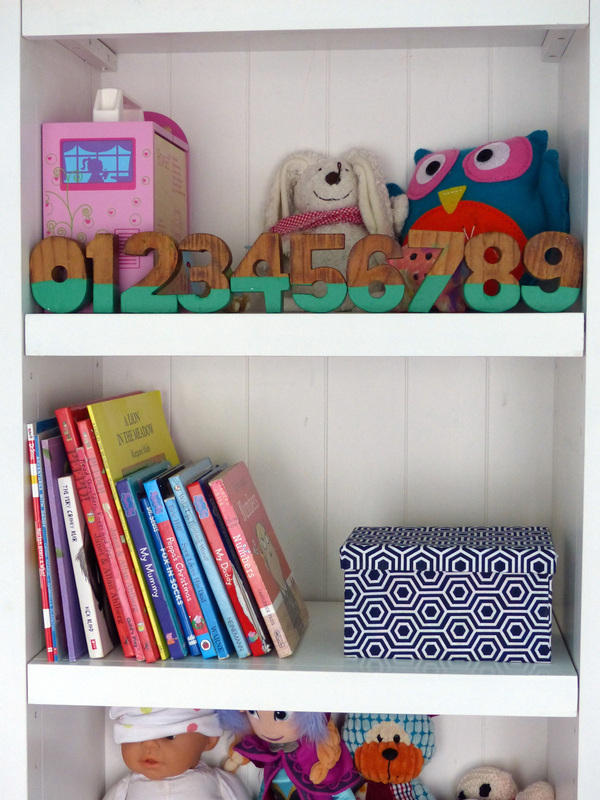 I use plastic labelled boxes on the top shelf of her wardrobe to store clothes in the next size up, books that are too old for her yet and other bits and bobs. The plastic drawers are for things Willow can easily access herself, her knickers (she is toilet training), her hats and socks and daycare clothes. Her toddler bed has a storage drawer underneath it for her sheets and blankets. I just love her little bed, we talked a lot about whether to put her straight into a single bed from her cot (cot shown in top picture), but having a little bed she could climb into herself and drag all of her books into easily, made the transition so easy. She loves that wee bed, it's her special place. A dear friend gave us the cube shelving under the window and it is perfect for Willow, she can slide out the toys herself and the boxes are fabric so if they fall out no one gets hurt! 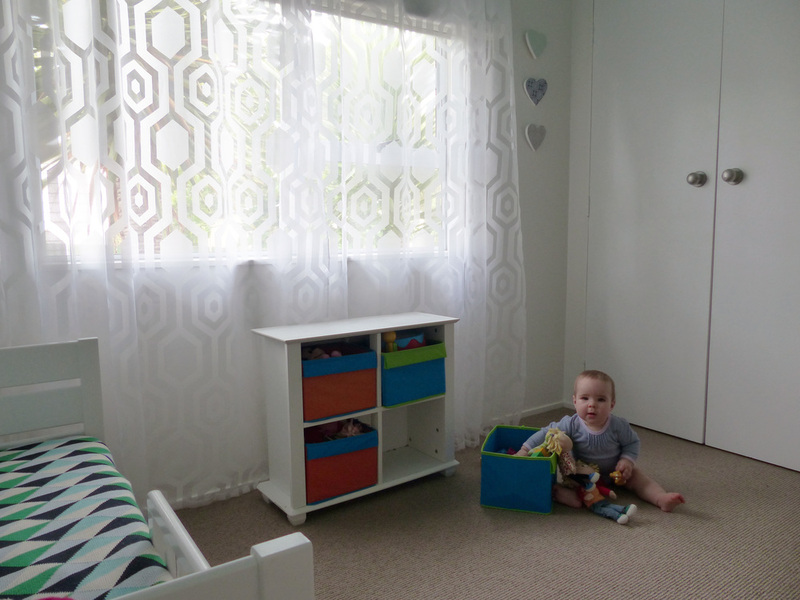 (As you can see from the picture below, little Flo playing happily in her sister's room). I love wooden coat hangers, Willow's are from K-mart, $4 for a set of 3! I grab a set whenever I am there but they are often sold out. Your toddler can and will break, rip and stain everything. Use surfaces that can be easily wiped down, carpet that is a sensible colour (just not white!) and bedding that is machine washable. No one wants to be hand washing dirty bedding in the middle of the night! Willow has a passion for reading and creating art. Can a two year old have a passion? Trust me, this one does! Therefore is was important to put her books low down so she can sit her room and read and to give her an art board to display her most recent artwork. I painted the frame of a simple cork board from The Warehouse kelly green to tie it into the rest of the room. She often looks at the board and talks about what she's made before she goes to sleep. 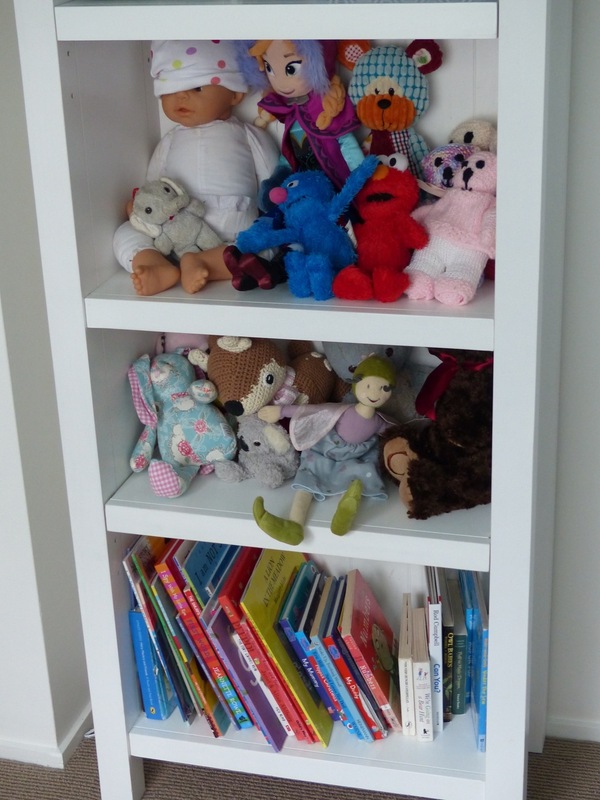 You don't want to go overboard with accessories because as your child grows they will collect things and make things that are special to them, leave some room for them to put their own stamp on their space. 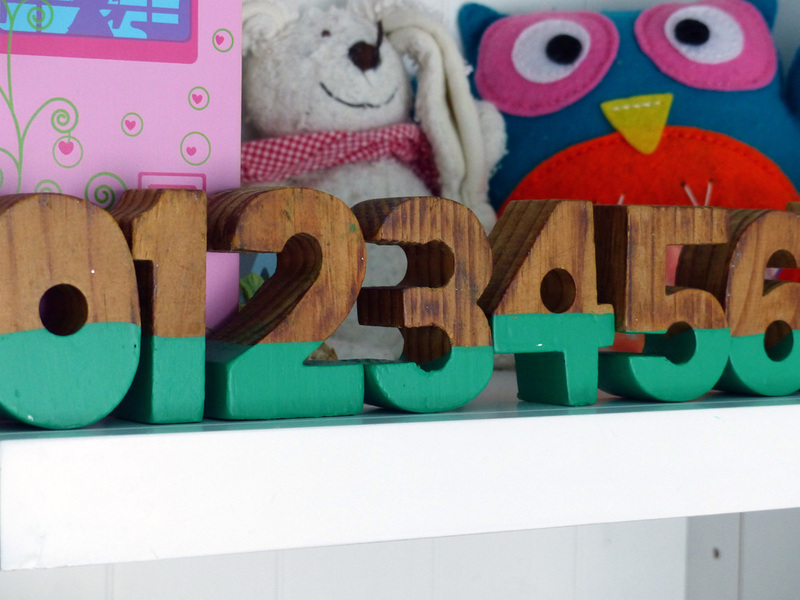 The wooden numbers on Willow's shelves cost me $2 from a school fair and I dip painted them using a kelly green test pot. By the way, this is so much harder than it looks and they are far from perfect, but Willow loves playing with them, and I love that they look homemade. Willow's raspberry haired doll comes from Claire Leblond Design, she creates the most beautiful handmade dolls and artwork, check her out if you are ever looking for a beautiful present for a little one. The hexagonal sheer curtains are from Freedom Furniture, I wanted to keep the geometric theme of the blanket going, and I made a little navy storage box to go on her shelves to reflect that hexagonal pattern on the other side of the room. Willow's room is such a lovely space, whenever I walk in there it just feels so 'her'. She likes to spend time in her room singing and reading, when I put her to bed at night and see her all curled up surrounded by her favourite things it makes my squishy Mumma heart sing. 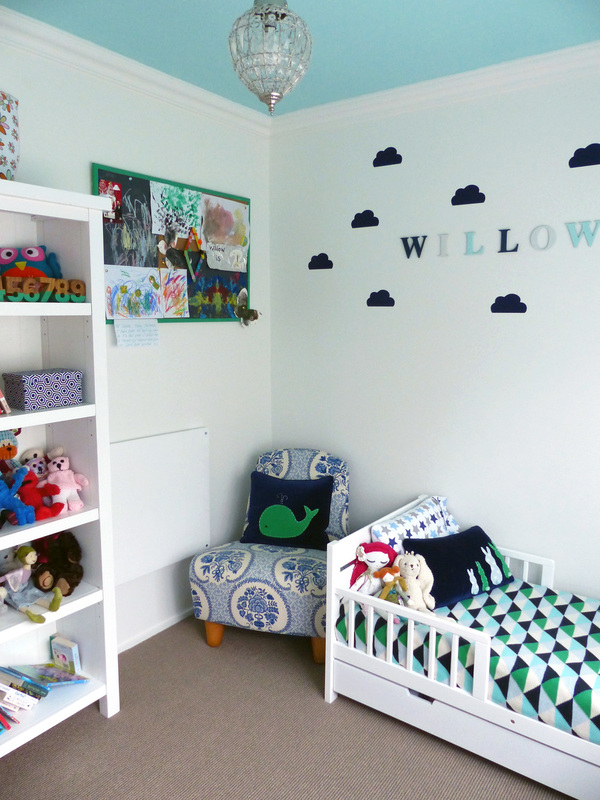 Coming up on the blog I will show you our nursery, little Florence's room.